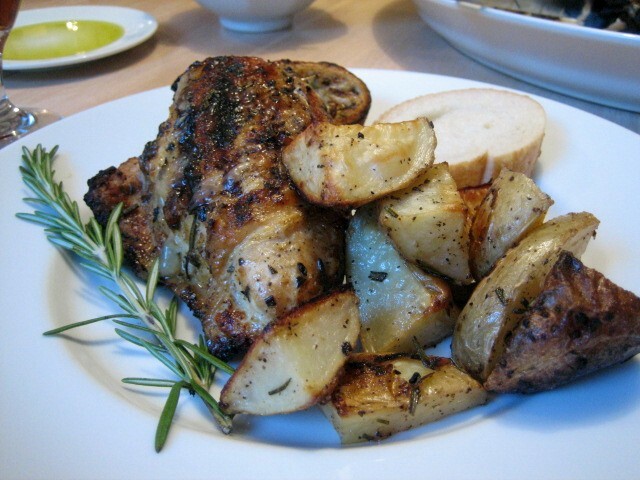 In a ziplock bag combine the quartered potatoes, olive oil, rosemary and the minced garlic. Using the bag, mix the seasoned herb oil to coat all the potatoes and dump the contents from the bag onto a rimmed baking sheet. 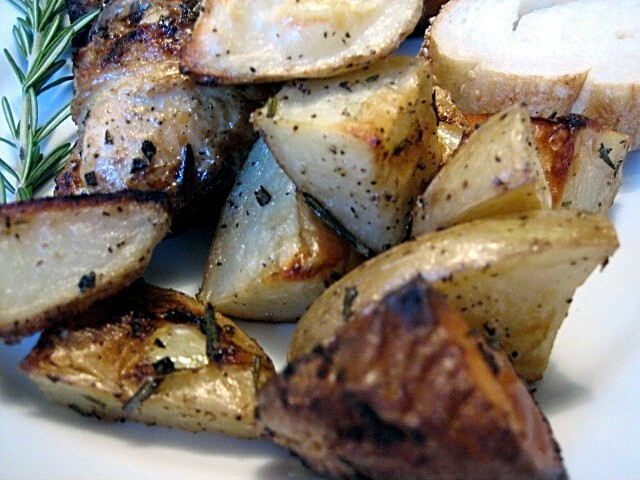 Spread the potatoes in a single layer and season with kosher salt and pepper and bake until crisp; about 50 minutes to 1 hour and serve immediately.